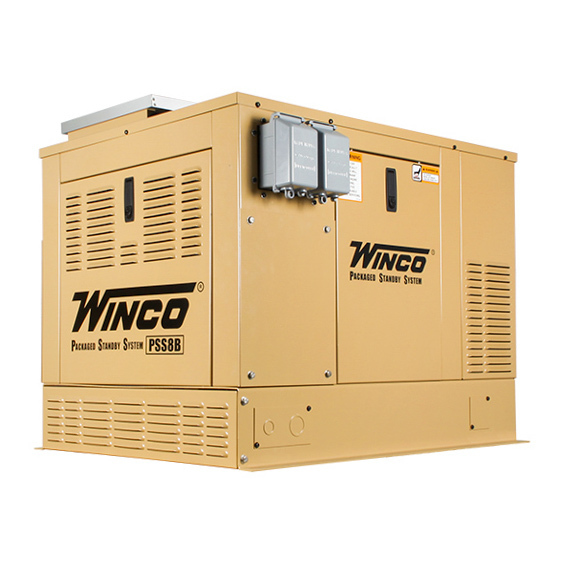 The WINCO PSS12H2W 12kW Air-Cooled Standby Generator with Solar Charger was built to work in prime applications. The solar charger will automatically charge your battery to help a proper start of the generator. Many of our customers are relying on this unit in harsh and remote applications, where box store generators just don’t cut it. Honda GX690 Engine - You expect the best; you get the best. The Honda GX690 is better than ever. Including improved adaptability, quiet operation, and improved fuel economy. Designed For Off-Grid Applications - Features a factory installed 12V solar charger. External Receptacle Outlets - One L14-20 20 Amp and one 5-20 20 Amp duplex receptacles are factory installed with weather-proof enclosures.